BEIRUT (Reuters) - Any new European sanctions against Iran will have a direct effect on the nuclear deal struck between world powers and Tehran, Iran’s deputy foreign minister said Friday, according to state media. "In case some European countries are following steps to put non-nuclear sanctions against Iran in order to please the American president, they will be making a big mistake and they will see the direct result of that on the nuclear deal,” Abbas Araqchi said, according to state media. Araqchi's comments were in reaction to a Reuters report that Britain, France and Germany have proposed fresh EU sanctions on Iran over its ballistic missiles and its role in Syria’s war to try to persuade Washington to preserve the 2015 nuclear deal with Tehran. Iran agreed to curbs on its nuclear program in exchange for the lifting of a number of sanctions as part of the deal. 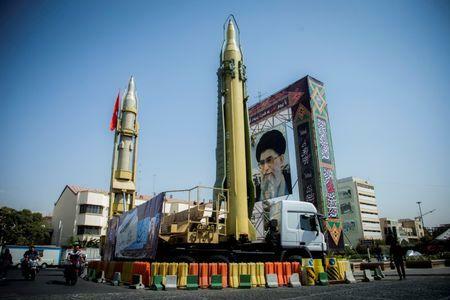 Senior Iranian officials have repeatedly said their missile program is not up for negotiation. If America pulls out of the agreement then the nuclear deal will be finished, Araqchi said, according to a report published by the Mehr News agency on Saturday. “If America exits the deal and unilateral sanctions return, we will definitely not continue the deal because it will not serve our interests,” Araqchi was quoted as saying.